We’re problem solvers who thrive on a challenge. 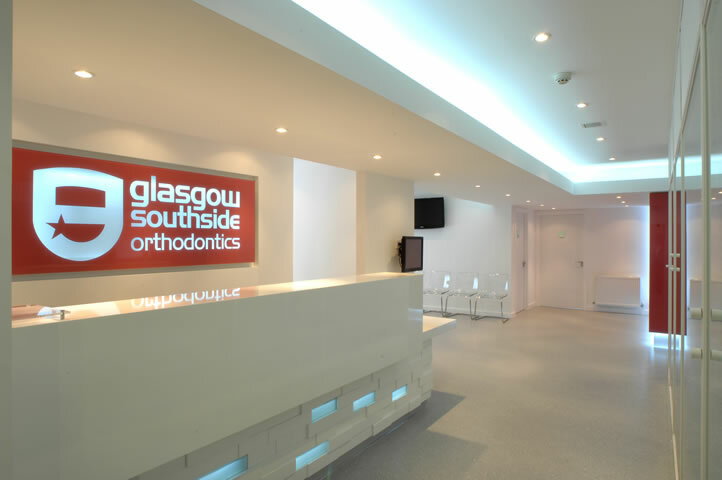 When Glasgow Southside Orthodontics came to us looking for a way to marry functional excellence with a welcoming, personable environment for patients, we relished the opportunity to fulfil their demands and exceed their expectations – all within budget! 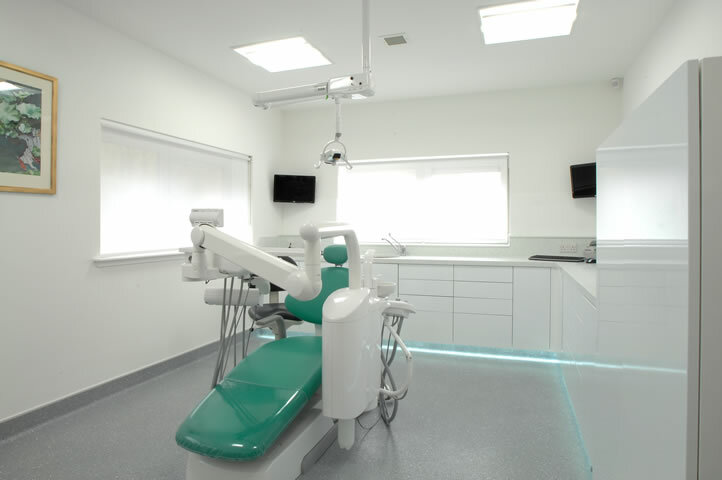 Working in partnership with orthodontists Dr Nadia Hajjaj and Dr Fern Stewart, our approach was twofold: to produce an overall layout and look that was modern and welcoming, coupled with detailed design solutions that served the practical requirements of the surgeries and decontamination unit. The result, achieved in just over two months, is something truly special. The practice is arranged in an ‘L-shape with the reception, office and waiting area flowing on to the surgeries and past the de-contamination areas. This style of layout means that the public and private areas are separated, but still benefit from a sense of space and light. 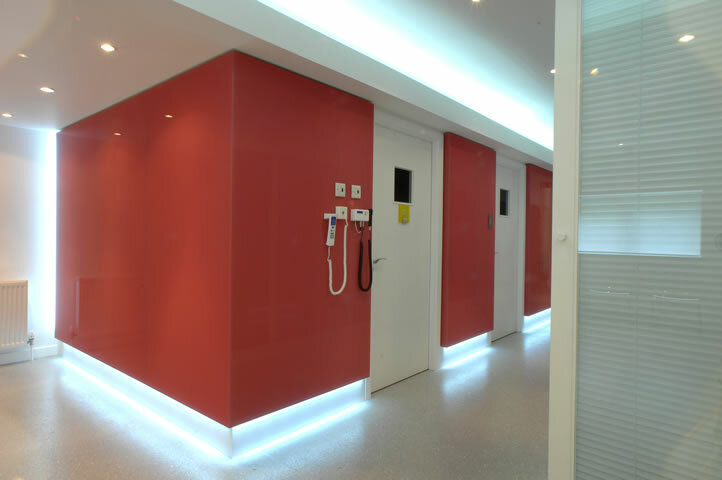 On entering, the stylish, warm and soft crimson tones of the glass practice sign, which hangs behind the reception desk, is the only clue to visitors that they are actually entering a dental surgery, as demure lighting and soft white walls fashion an environment more reminiscent of a luxury spa. The result is that we have successfully turned what at times can be a highly impersonal setting into a calming and very personal space. 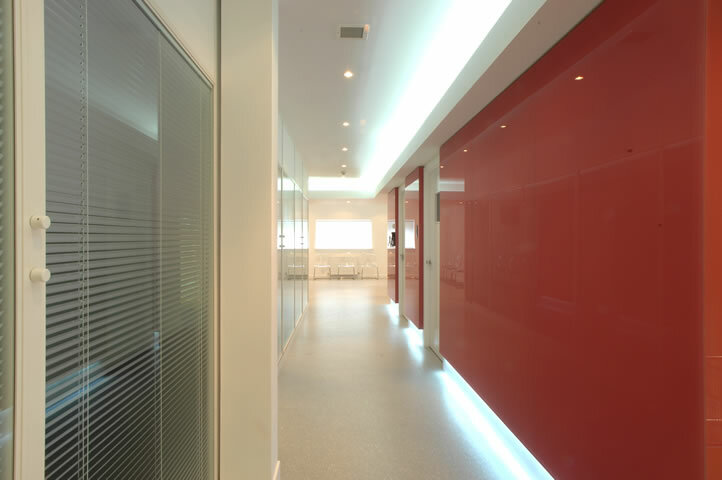 Overall, our vision of individual elements, such as a wall of pink glass directing patients to the practice’s reception area, and varied lighting to provide the right ambience, has provided the practice with its own corporate brand. Often it’s the small details that transform a space and designing those well doesn’t necessarily add costs but can really make a difference to the finished space. For Glasgow Southside Orthodontics we thought hard about the ambience created by lighting, the look of the surgeries, and the colour of the flooring – all details which impact on patients’ perceptions and improve the working conditions for the orthodontists and other staff.